Day fifty-nine I was working on some photo magnets, which you can see in the background. 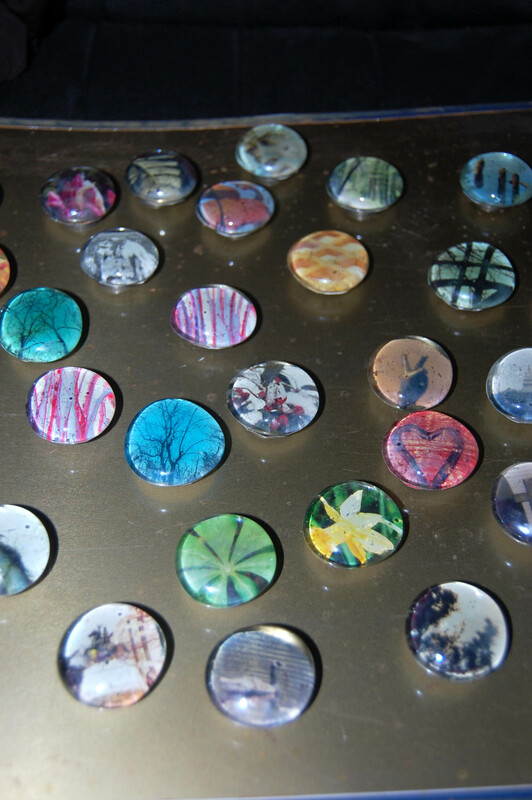 They are a relatively easy craft using flat glass marbles, photos, drawings, magazine cutouts, whatever and small button magnets. I use my own photos and art. I have 10 years of film prints stacked up in my art cabinet and this is a great way to reuse them for something creative. 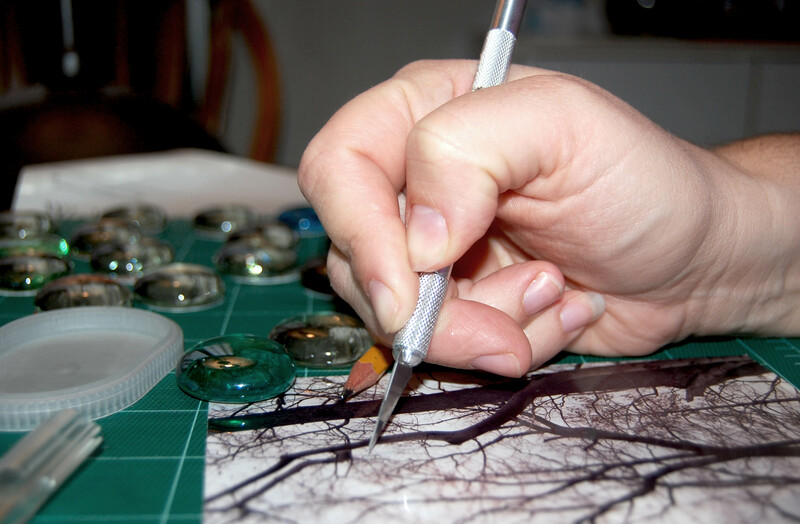 Here is my hand cutting out a circle of an image. I enjoy making these. They look pretty cool when they are complete. See below for a photo of completed magnets.